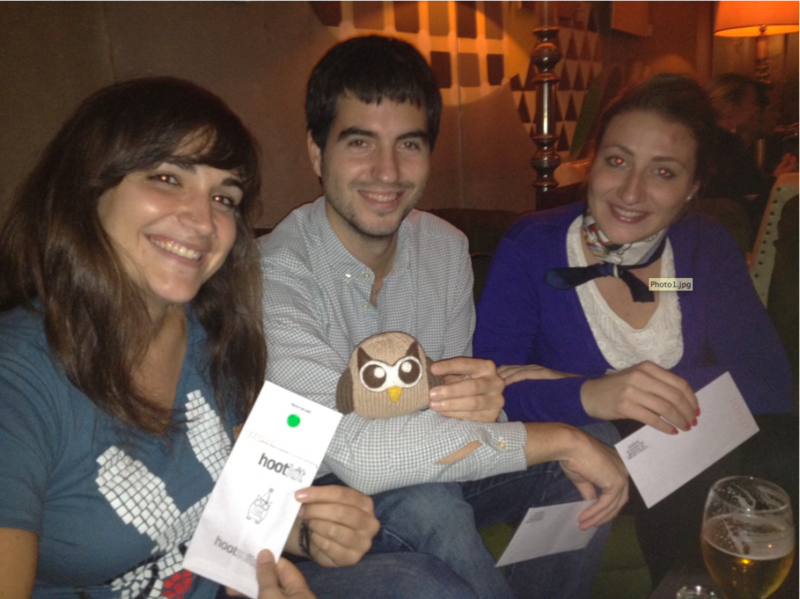 Here at HootSuite Headquarters, we’re enjoying the success of recent HootUps in Spain and Indonesia. We’d like to give a big thank you to each HootUp organizer as their effort and imagination was integral to the success of these events. 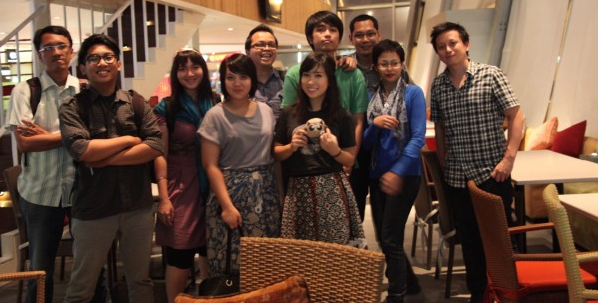 Check out more pics from the Indonesian HootUp here. From conferences to casual info sessions over a couple of beers, each HootUp had its own unique feel while sharing the same celebratory spirit. If you’re thinking of hosting a HootUp in your city, check out some of these examples for inspiration… and check out this helpful HootUp Guide on planning and organizing your own HootUp. The most recent HootUp took place in Salamanca, Spain. 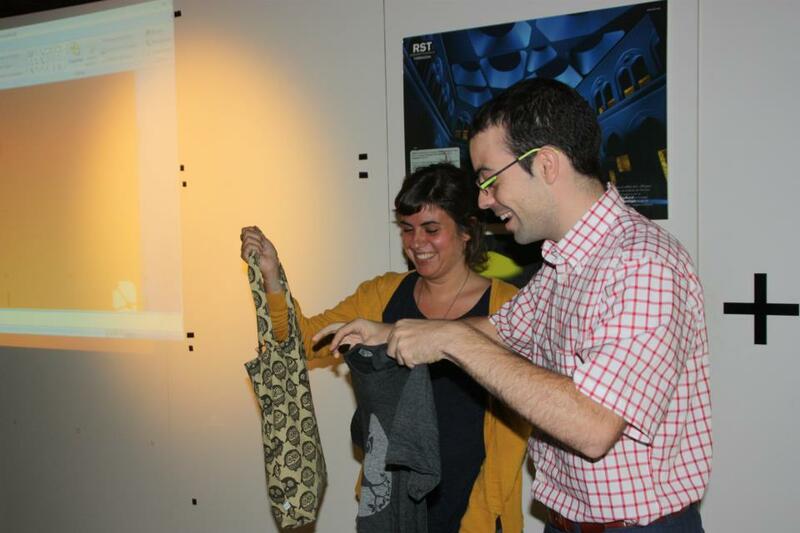 Gracious hosts, Sonia Alemany and Jesús Merino, announced the event over #Charrosfera (a local Twitter users forum). The HootUp consisted of a brief session on HootSuite tips, an interactive HootSuite themed game, and a raffle. Prizes included a book about Twitter, salchichón ibérico, chorizo ibérico and a bottle of wine. 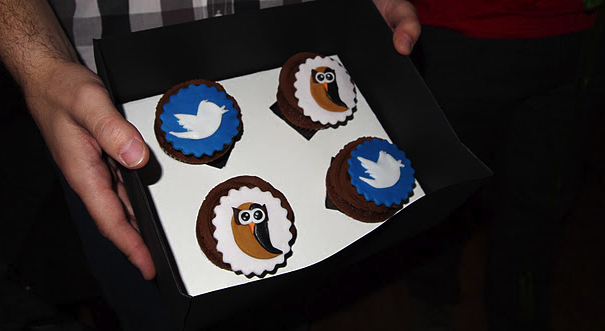 The evening was an excellent opportunity to meet other HootSuite enthusiasts and the organizers enjoyed some freshly baked cupcakes by @topohumpry [pics]. Congratulations to HootUpSal for hosting such an enjoyable event! 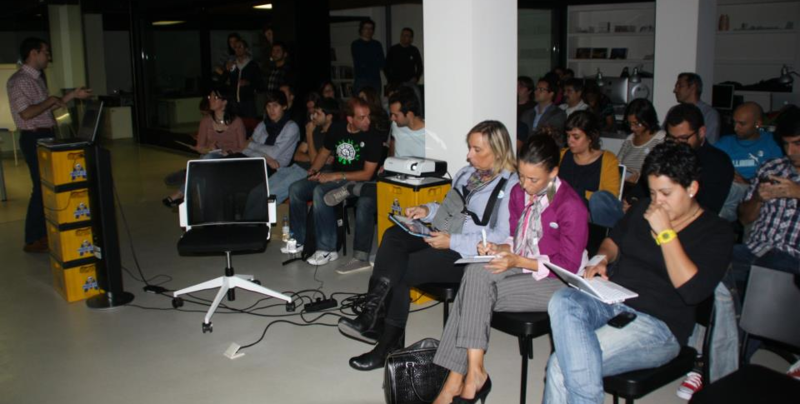 HootUpBCN was hosted in Barcelona, Spain and organized by Francesc Gómez. Initially planned as a smaller event, the number of attendees doubled as news spread. The success of this HootUp was amazing – even making waves in the local media. 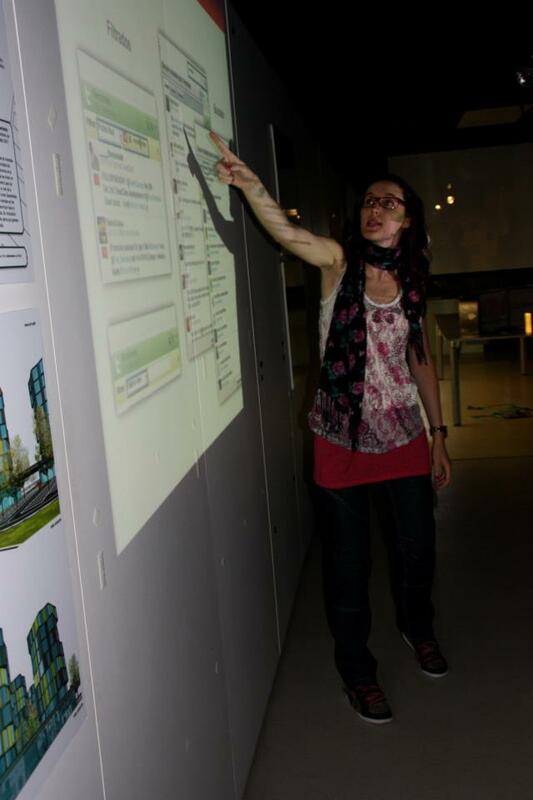 There were speakers at the event, like local social media experts Marta Hita and Carles Roca-Font. Their presentations focused on a few social media campaigns as well as some other interesting HootSuite tips. Check out Carles’ slide deck presentation: How to Owl like a Ninja. The Indonesian capital, Jakarta, hosted one of the most extensive HootUps thus far. 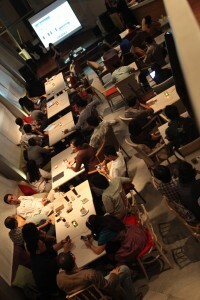 Organized by @mdstephanierw, @aswinutomo, and @adadiskon, the evening hosted 65 enthusiastic attendees. Consisting of advertisement agency folks, entrepreneurs, and other social media experts, the evening was focused on applying HootSuite to business. Packed with helpful information, the night was a successful mix of speeches and discussions. Inspired by this night, the Jakarta HootUp community has already set its wheels in motion to host another HootUp. If you’re interested in helping out, please contact them here. 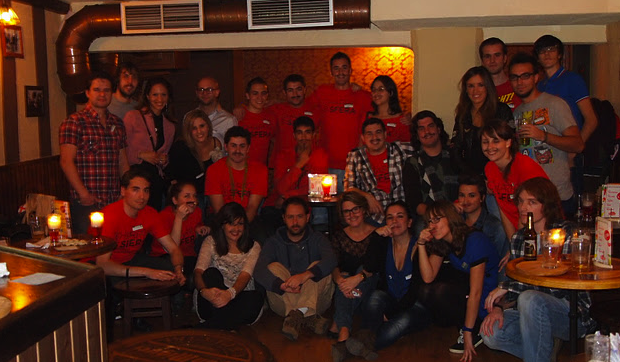 Our next HootUp, took place in cozy pub located in the heart of Madrid, Spain. Hosted by Juan Andrés Milleiro, the evening was fun, light-hearted, and covered the importance of using HootSuite as a platform to manage professional accounts. As the evening unfolded, participants bonded over their shared interest of beverages and HootSuite. HootupMadrid left people with their bellies full of food and hearts full of owls. Bandung, Indonesia hosted HootUpBDG last month. With the help of Wiku Baskoro, the evening was also a great success. Wiku is one of our earliest owls, having used HootSuite since its early stages. 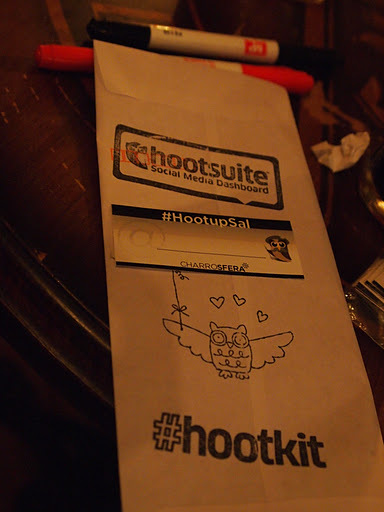 Around a dozen owls met up to discuss their experiences with HootSuite and shared some tips. Where will the next #HootUp be? 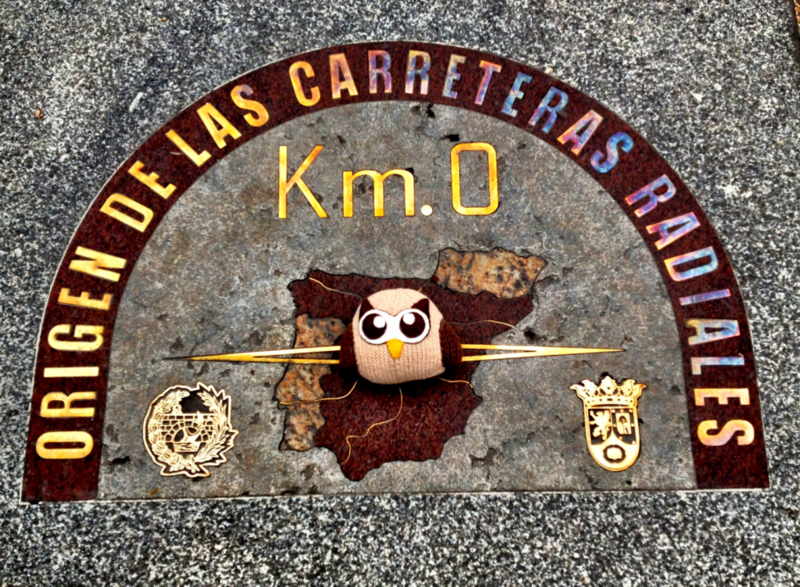 Here at HootSuite HQ, we are always excited to see how our international owls are spreading the HootSuite word. As you have seen from the previous HootUps, you can celebrate a HootUp in whatever way you’d like. Formal or informal, the main goal is celebrate and share your HootSuite knowledge. HootUps are an amazing way to build networks and create a community with folks who are also interested in HootSuite and social media. If you would like more information about HootUps and are interested in hosting your own, you can contact us directly via community+hootups (at) HootSuite (dot) com. We will happily answer questions regarding your HootUp planning as well as provide you with HootSuite swag. 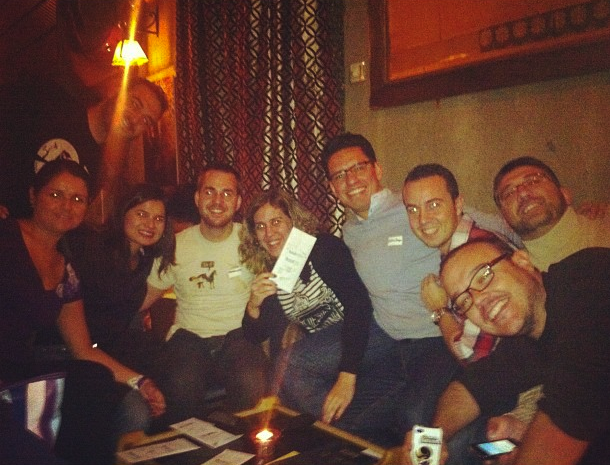 If you’re looking for other HootUp collaborators, try creating a localized HootSuite community at meetup.com/hootup which will help you get in contact with other users in your city. Also check out this helpful HootUp Guide on planning and organizing your own HootUp (también disponible en español).